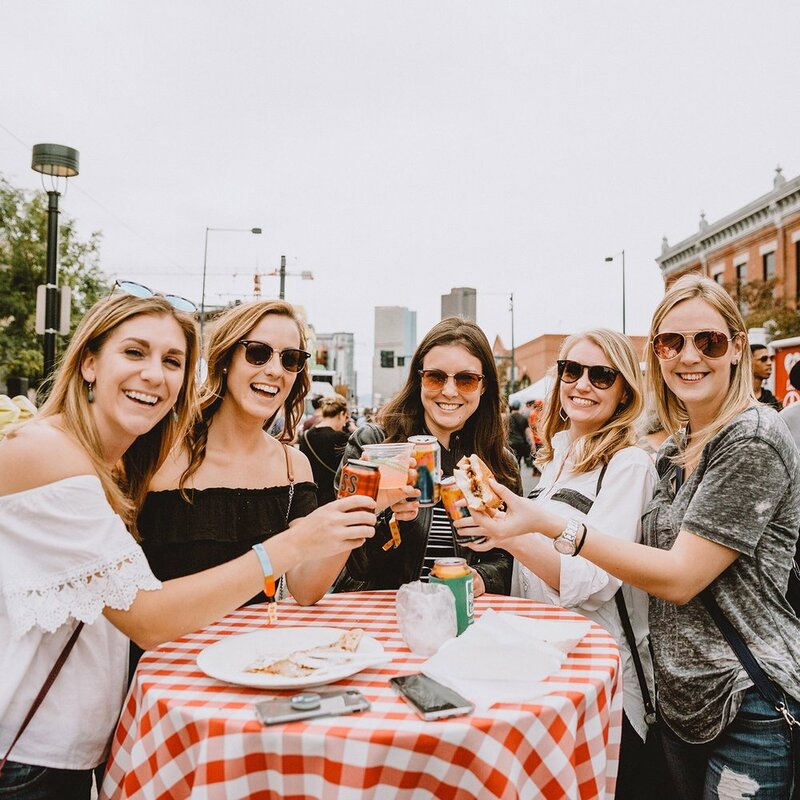 Last summer, we hosted four neighborhood bashes across Denver stacked with a ton of local food trucks, vendors, live music, and craft beverages! This summer, we’re taking Truck Stop on the road again, bringing the same block party vibes to four different neighborhoods! Dozens of local food trucks will line the street of each neighborhood serving up everything from BBQ to vegetarian to schwarma to tacos to you name it. There's sure to be something tasty for everyone, big and small, young and old, picky or adventurous. Come hungry, leave happy! You’re going to need something to wash down all that grub, so we invite some of our favorite craft beer, booze, and wine makers to sling drinks throughout the fest. Find an array of tasty bevvies at each stop of Truck Stop! We come prepared to rock the neighborhood with live tunes all day long, because a meal isn’t complete without a soundtrack (at least we think so)! So expect something groovy to dance to between bites.